Its Monday again, but instead of being down, why not feel inspired to shake up your makeup? Every Monday will be 'Makeup Monday' and will showcase the makeup of the previous weeks #fotd or face of the day. Hopefully you will find a new lip colour you enjoy or a snazzy new eye colour. Eyes: Estee Lauder Double Wear Gel Liner in Black, Great Lash Waterproof Version by Maybelline, Colour Tattoo in Pink Gold, Revolution Icon pro 1 palette. 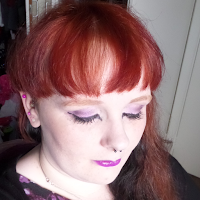 Skin: Manic Panic Dreamtone in Virgin, Mac Studio Fix Fluid Nw10, Collection Lasting Perfection in Fair, E.L.F HD Powder. Eyes: Estee Lauder Double Wear Gel Liner in Black, Estee Lauder Sumptuous Extreme Mascara, Colour Tattoo in Pink Gold, Revolution Welcome to Plesuredome Palette. Skin: Manic Panic Dreamtone in Virgin, Mac Studio Fix Fluid Nw10, Collection Lasting Perfection in Fair, Star Gazer Pressed Powder White. 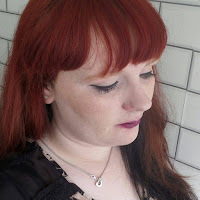 Eyes: Estee Lauder Double Wear Gel Liner in Black, Primark Black Eyeliner Pen, Estee Lauder Sumptuous Extreme Mascara, Great Lash Waterproof Version by Maybelline, Revolution Ultimate Colour Chaos Palette. Eyes:Primark Black Eyeliner pen , Great Lash Waterproof Version by Maybelline, 144 eyeshadow 2016 collection from Revolution. Lips: makeup revolution salvation lip . Do you like experimenting with different colours of makeup? I love the different variety of lipstick you use. I own two tubes of lipstick that's it. I like the second look. The lips - Revolution 100% Vamp are great, very dramatic. Love that revolution lipstick in the second picture, it's gorgeous! I am probably the most unadventurous person when it comes to makeup, wearing lipstick is me living outside the box!